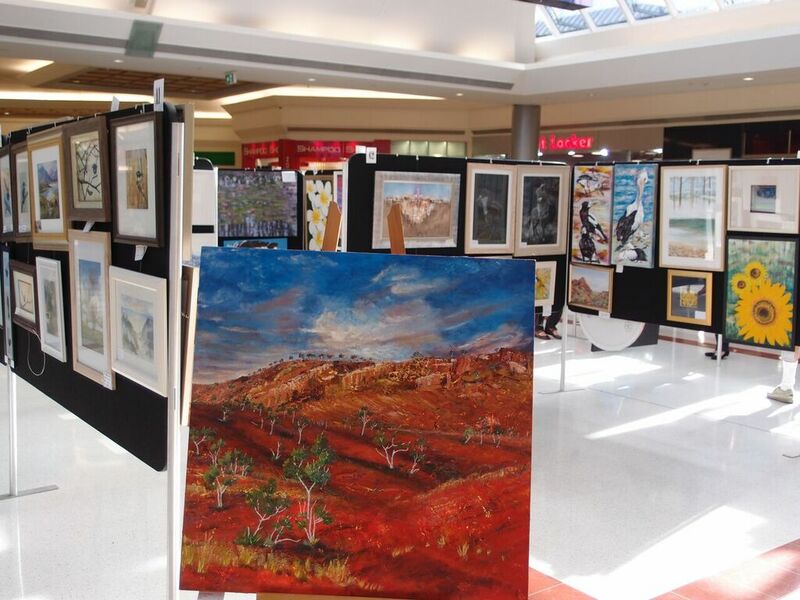 The annual Rotary Art Exhibition, a joint project of the Melville and Applecross Rotary Clubs, is held each year in a central area of the Garden City Shopping Complex. This Art Exhibition allows artists to display their paintings to a large number of people and hopefully sell one or more their paintings. The entry charge and sale commission are used to offset the exhibition costs. The profits are used by the Rotary Clubs for community projects. Members and friends of the Rotary Clubs set up the exhibition, provide the security and sell the paintings. The annual Rotary Art Exhibition and Sale has been held for over 40 years. The average number of paintings displayed has averaged about 400 and the number of artists who have submitted paintings has been around 130. The number of paintings sold each year prior to 2008 was around 100 and since around 50. In 2018 there were 406 entries and 62 were sold. In 2017 there were 312 entries and 46 were sold. In 2016 there were 326 entries and 58 were sold. In 2014 there were 328 entries and 58 were sold. In 2013 there were 309 entries and 62 were sold. In 2010 there were 316 entries and 48 were sold. This was despite the damage caused by a vehicle which raided a booth in the Centre. Fortunately only a couple of paintings were damaged. Several frames were damaged. In 2006 there were 503 entries and 94 were sold.